Births announced this week are: Cierra Paige Baxter, July 17, daughter of Lane and Carrie Baxter; Desirae Nacoe Fogle, July 20, daughter of Lawanda Gale Fogle; Richard Nathan Foster, July 27, son of Mr. and Mrs. Rick Foster; Jonathan Thomas Sadler, June 25, son of Mark and Tomi Jean Sadler; Avery Allen Whitaker, July 19, son of Sharon Whalen and Jason Whitaker; William Patrick Darnell, July 12, son of Pat and Kim Darnell; Russell Allen Letcher, May 23, son of Tim and Traci Slone Letcher; Preston Connor Roark, June 11, son of Lesley Fugate and Jimmy Roark. * Your visits to the Cynthiana-Harrison County Museum, the Smithsonian ‘Journey Stories’ exhibit, and the related speakers and activities are anticipated and encouraged. No charge for admission. * On Saturday, Aug. 13, Jon Hagee as a Colonial Balladeer will present Traditional Irish and Scottish Folk music in the public library’s community room at 10 a.m.
Barry and Lisa Duckworth announce the forthcoming marriage of their daughter, Tara Michelle, to Kristopher Lee Caswell, son of William and Janet Caswell and Ricky and Reva Moore. Duckworth is a 2004 graduate of Harrison County High School and is employed at 3M in Cynthiana. Caswell is a 2004 graduate of Harrison County High School and is employed at Legitt and Platt in Georgetown. He is also a member of the Harrison County Volunteer Fire Department. The parents of Elizabeth Lee Ann Fryman announce the engagement and forthcoming marriage of their daughter to Seth Tyler Hall. Fryman is the daughter of Dale and Karen Fryman of Cynthiana. She is a graduate of Morehead State University. Hall is the son of Andrea Hughes of Georgetown and Ronnie Hall of Mount Sterling. He is a nursing student at Northern Kentucky University and will graduate in December of 2011. 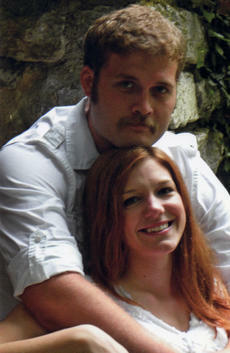 The couple is to be married Oct. 1 in Georgetown, Ky. Both the bride and groom-to-be are graduates of Harrison County High School. 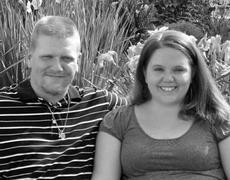 Heather Ann Ferguson, 25, and Eric Allen Burdine, 25, married June 10, 2011. Elizabeth Maria Wilson, 19, and Victor Alonso Martinez, 23, married June 16, 2011. Sarah Josephine Wyatt, 19, and Bruce Clark Kennedy Jr., 32, married June 21, 2011. Jennifer Lane Grinstead, 52, and William Bradley Muntz, 46, married June 18, 2011. Jamielee Lynn Curtis, 47, and Ricky Thomas Lindsey Sr., 58, married June 26, 2011. Jillian Rose Hall, 18, and Edward Colten Berry, 20, married July 9, 2011. 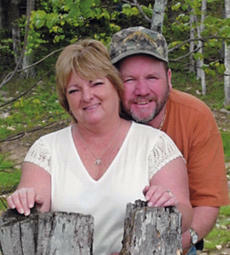 Kathy Kessinger and Donald Northcutt announce their engagement and forthcoming marriage. The wedding will take place in October 2011 at the Northcutt farm. Invitations will be sent. 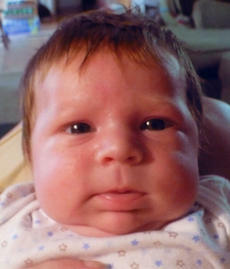 William Daniel White was born to Shade Steven II and Miranda White of Cynthiana on June 6, 2011 at Harrison Memorial Hospital. He weighed 8 lbs. 7 oz., and is welcomed by his brother Shade Steven White III and sister Kendall White. Maternal grandparents are William and Mary McFarland of Cynthiana and the late George Yazell Jr.; maternal great-grandparents are the late Luther and Norma Fogle, and George Yazell Sr. and the late Betty Yazell. The annual Stroub-Swizer reunion will be on Sunday, Aug. 7, at 1 p.m. at Unity Christian Church on KY 36W. The reunion will be held in the Fellowship Hall, which is air-conditioned. The meal is potluck; all paper products will be provided, just bring your favorite dish(es) to share with everyone. Don’t forget to bring something for the annual brown bag auction, plus games for the kids to play and win prizes. Do you have family photos to share with everyone? There may be family photos taken.